CANTON, Mass. 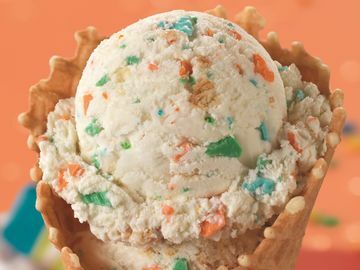 (September 3, 2013) –Baskin-Robbins, the world’s largest chain of ice cream specialty shops, is celebrating back-to-school season with the return of its popular Buy One Get One Free Two-Scoop Sundae offer at participating locations nationwide. Beginning tomorrow, September 4, and continuing every Wednesday through the end of the year, guests who purchase a “Build Your Own” Two-Scoop Sundae will receive another Two-Scoop Sundae of equal or lesser value for free. 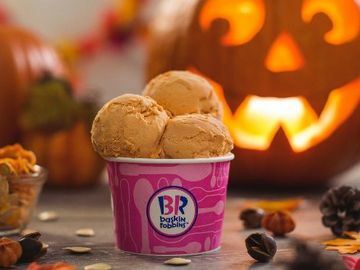 * Baskin-Robbins’ classic Two-Scoop Sundae includes two scoops of a guest’s favorite ice cream topped with caramel, hot fudge or strawberry topping and is finished with a dollop of whipped cream, nuts and a cherry. 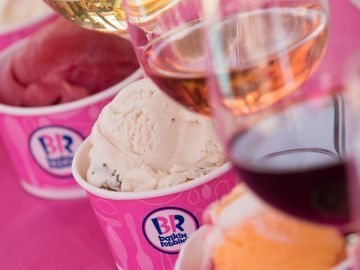 Baskin-Robbins locations in the New York metro area will feature the Buy One Get One Free Sundae offer every Tuesday instead, and locations in Washington, Oregon, Montana and most in Idaho will not be participating. 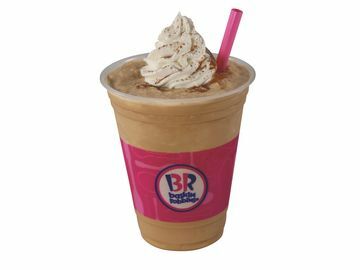 This month, Baskin-Robbins is also inviting guests to enjoy its September Flavor of the Month, German Chocolate Cake. Featuring delicious Swiss chocolate ice cream with coconut, walnut pieces, fudge brownie pieces and a caramel swirl, Baskin-Robbins’ German Chocolate Cake flavor is sure to delight ice cream lovers nationwide. The Flavor of the Month is also being featured in a special German Chocolate Cake Waffle Bowl Sundae, which includes two scoops of German Chocolate Cake ice cream with hot fudge, whipped cream, chopped almonds and a cherry, all served in a freshly-baked waffle bowl. 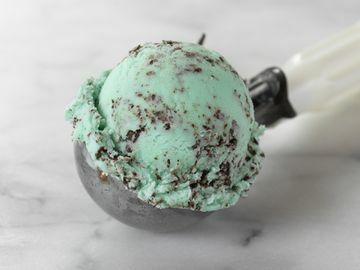 In participating Baskin-Robbins shops nationwide in September, German Chocolate Cake ice cream is available by the scoop – in a cup or cone – and in fresh-packed pints and quarts. ** Guests can also enjoy any of Baskin-Robbins’ festive ice cream cakes this month, including the Too Cute Cupcake Cake, an oversized cupcake filled with delicious ice cream and cake, and the Clown Cone Party Round Cake, a customizable cake adorned with Baskin-Robbins’ classic Clown Cones and sprinkles. Guests can personalize each cake with any Baskin-Robbins ice cream flavor and cake combination. Additionally, as part of Baskin-Robbins’ Soft Serve Slingshot Promotion, guests are encouraged to visit the Baskin-Robbins Facebook page to see the winning topping, Reese’s® Peanut Butter Cups, and to receive a coupon for a “Buy One, Get One for 99 cents” 31 Below® soft serve treat that can be redeemed at participating Baskin-Robbins shops nationwide through September 30, 2013. Baskin-Robbins’ 31 Below desserts feature smooth and creamy vanilla soft serve mixed with a guest’s choice of candy or cookie mix-ins. For more information about Baskin-Robbins’ range of ice cream flavors and frozen desserts, visit www.BaskinRobbins.com or follow us on Facebook (www.facebook.com/BaskinRobbins) or on Twitter (www.twitter.com/BaskinRobbins). *For a limited time, at participating shops only. Offer not valid on three-scoop sundaes, Banana Splits, Brownie Sundaes, Banana Royales, Soft Serve Parfaits and Kid’s Sundaes. **In California, Baskin-Robbins offers fresh-packed ice cream in two sizes: small (12 oz) and regular (1 lb., 8 oz).